These are puffballs of the species from which I extricated a number of puffball beetles. 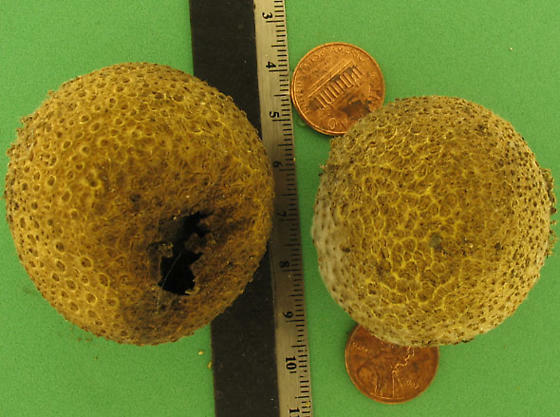 The one on the left is mature and has ruptured to release the spores. This is the stage at which I gathered the contents of several puffballs to search for beetles.